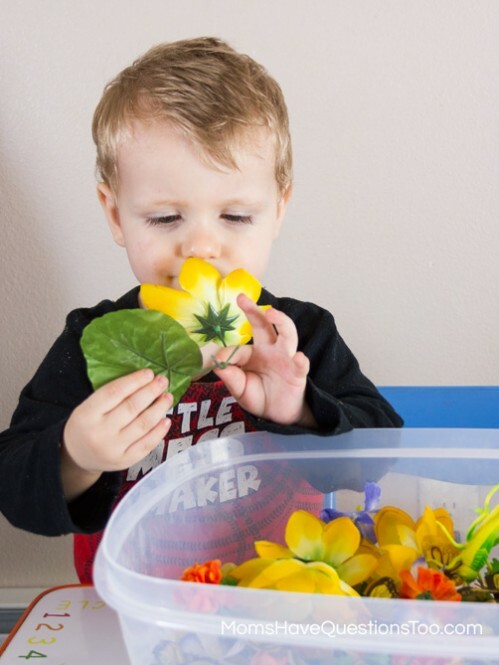 Spring Sensory Bin: Bugs and Flowers and Frogs, Oh My! I feel like it has been weeks since I put together a sensory bin (oops, probably because it has). Since, Smiley Man is a classic toddler and he loves sensory activities, I realized it was high time I made up a sensory bin for him. 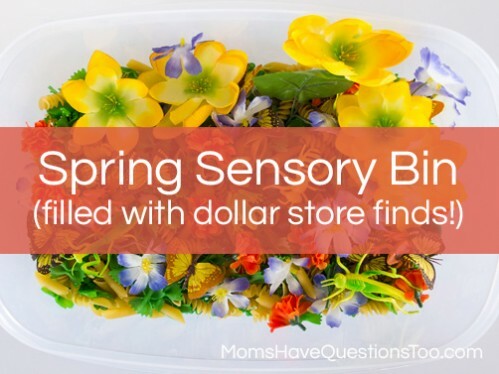 We have been talking about spring a lot in our house recently and what better way to introduce spring to a toddler, than through a sensory activity just for kids. I started the sensory bin with a base of colored and plain pasta. I first made this pasta for a St. Patrick’s Day sensory bin, but I have used it for lots of other sensory activities. It was right at home in our spring sensory bin. Next, I added lots of spring items for Smiley Man to explore. All of these other items were from the dollar store! I added three different kinds of flowers, some plastic bugs, some plastic frogs (these were definitely Smiley Man’s favorite) and some fabric butterflies. Smiley Man was very upset when I held him back to get some pictures of the sensory bin before he could play with it. He wanted to get straight into that sensory activity. This spring sensory bin definitely turned out to be a success. Smiley Man loved exploring all of the spring items, especially the bugs and frogs. Yeah, he’s a boy. :) He also loved running his fingers through the pasta just to explore how it felt. I have to say, I used to think sensory bins were a big waste of time. 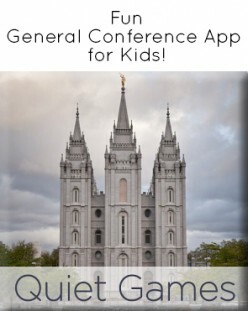 I thought, there are so many fun activities for toddlers that I just didn’t find time for sensory bins. 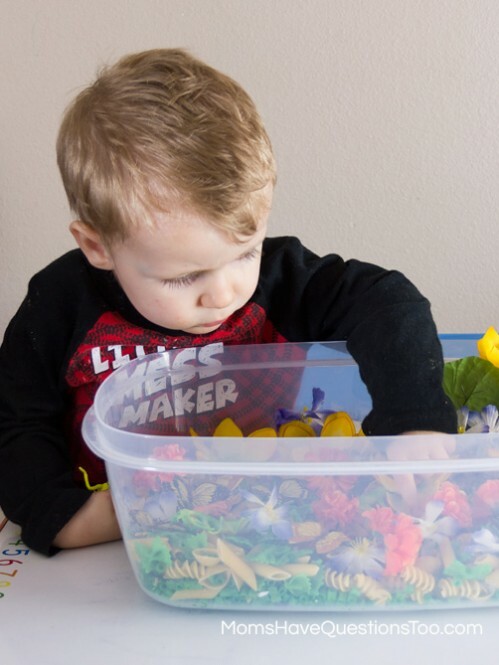 Luckily, I finally tried them and I can honestly say that sensory bins are one of the best fun activities to do with toddlers. Smiley Man LOVES them and Little Bear also enjoys playing with the sensory bin.